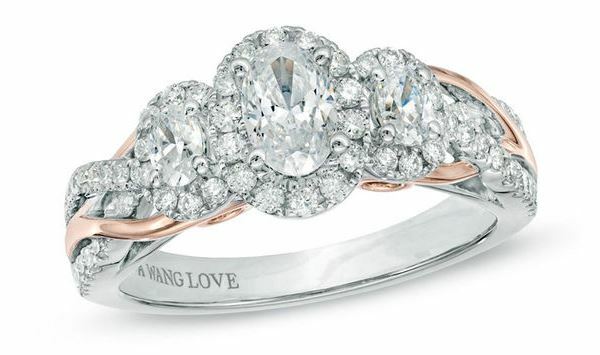 Are you a classic bride looking for a one-of-a-kind ring? Timeless style doesn’t need to translate to a solitaire. If you’re searching for something a little more unique, take a look at these seven classic engagement ring styles with beautiful side details. 1. True Blue: The swirling white gold frame wraps around the sparkling center diamond to create a darling rose-like design. 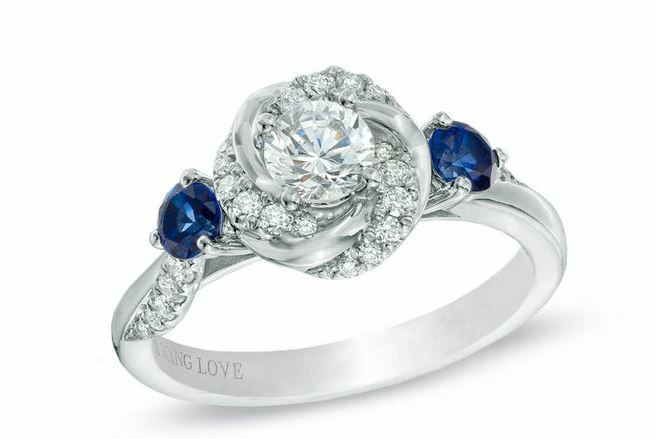 Beautiful blue sapphires set on either side makes the diamond seriously pop! 2. Sweet Scrolls: This diamond lined shank scrolls up to the round diamond solitaire for an elegant, yet feminine touch. The sides of this ornate ring are stunning, especially with their intricate milgrain detailing that adds even more dimension. 3. Mixed Metal: The two-tone gold setting certainly grabs the eye, but we’re swooning over the side stones! 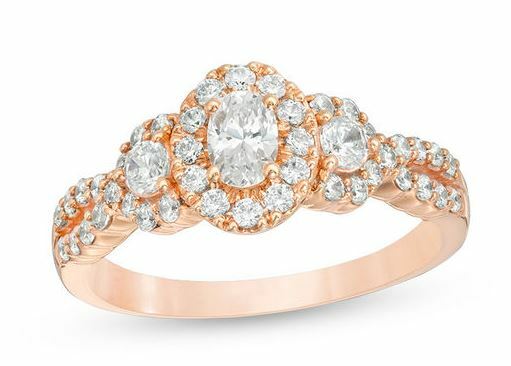 The three oval-cut diamonds surrounded by round accent diamonds in the vintage inspired setting, makes this engagement ring beyond breathtaking. 4. 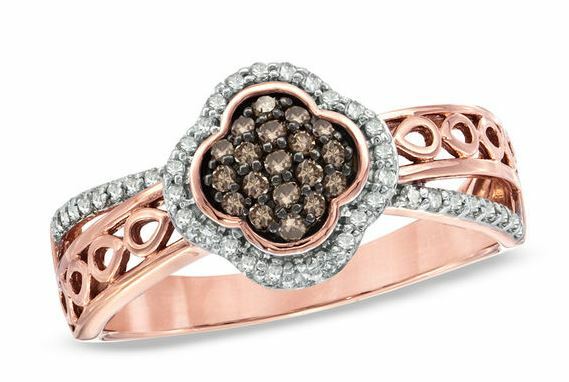 Have Heart: Vintage-loving brides are sure to fall in love with the diamond adorned hearts on the side of the bezel! The milgrain accenting on the band creates the illusion of small diamonds on the sides. 5. Champagne Toast: The center diamond is dashing, but take a look at those champagne diamonds that come close to stealing the show! 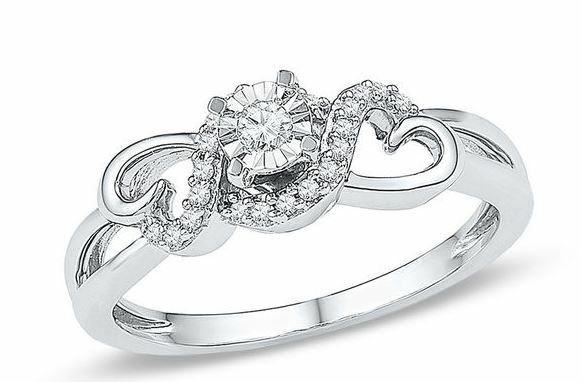 The smaller diamonds on the band give this ring even more sparkle, making this a total show-stopper. 6. 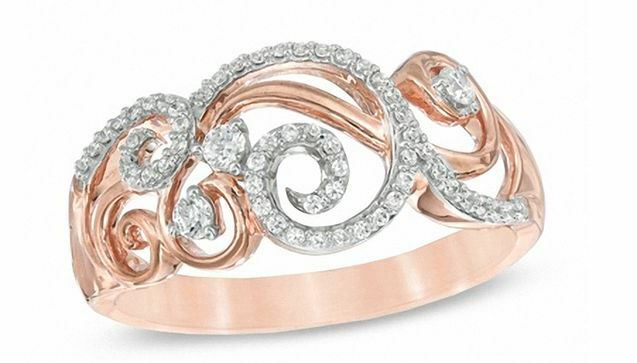 A Little Luxury: Set in rose gold, this engagement ring is utterly enchanting. While the halo surrounds the center stone, additional diamonds aligning the ring’s twisting split shank step-up the shine factor, making this ring so luxurious. 7. Fit for a Princess: The white gold is fashioned with vintage-style engraving and milgrain embellishments on the edges of the band. 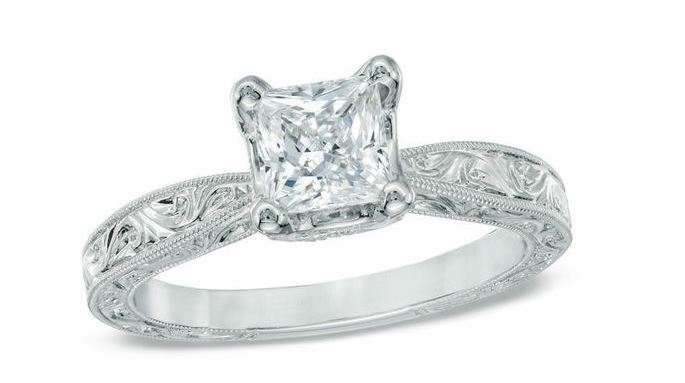 This princess-cut diamond ring is absolutely perfect to please your little heart’s desires! Looking for your perfect sparkler? 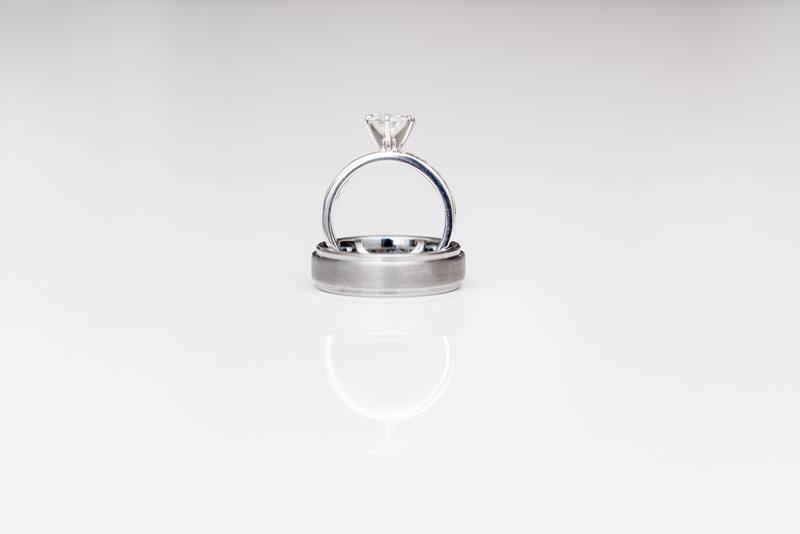 Find it at Zales. And make sure to take a look at their curated collection for Lover.ly!